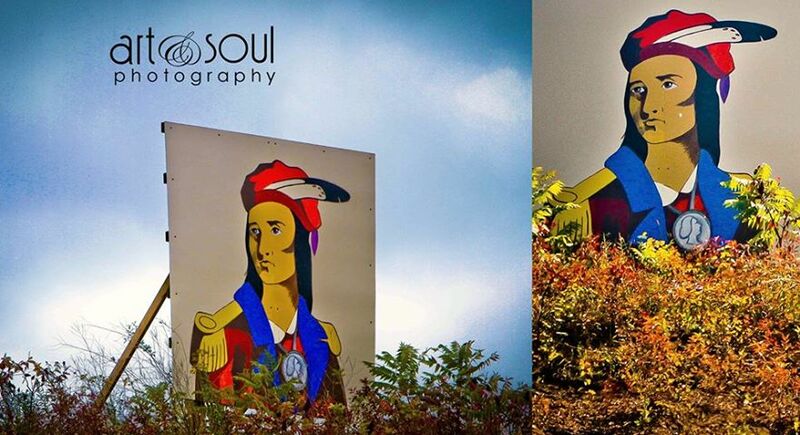 This beautiful rendition of Tecumseh is one of the 30 images on the Trail of Tears Barn Quilt Trail. Thanks to Glenda Cochran, Art & Soul Photography for her great work. Follow this map to see this image and other First Nations Art.